Consider this: The average human head weighs 10-12 pounds. When your head is thrown forward and backward in an accident, your neck takes the brunt of the force, often leading to mild to severe pain. 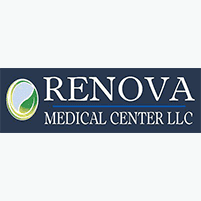 At Renova Medical Center, in Springfield, Missouri we specialize in whiplash injuries . If you’re suffering from nagging neck pain resulting from an accident, call or book an appointment online. As if these stresses weren’t enough, whiplash is often exacerbated by seat belts, which are crucial in protecting your body, but they don’t restrain your head. While an accident takes mere seconds, whiplash can play out for months, and even years, afterward. If you have severe whiplash, you may also experience symptoms that include dizziness, vision problems, or moodiness. Whiplash injuries take time to heal, but through chiropractic techniques that work with your body’s natural resources, we can treat your symptoms and encourage healing, getting you back to good health as quickly as possible. If you suspect you have whiplash, early intervention can make all the difference. Call Renova Medical Center to get started, or schedule an appointment using the online booking tool.